Men's Silent Hide Sweater Fleece Button Up is rated 4.9 out of 5 by 42. 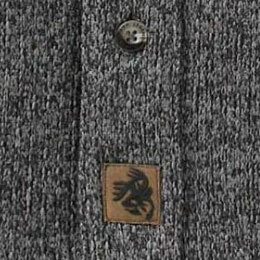 Where your grandpa would've worn a sweater, you wear sweater fleece. It's just the right weight, and it's soft and warm, too. 'Nuff said! 24/7/365. 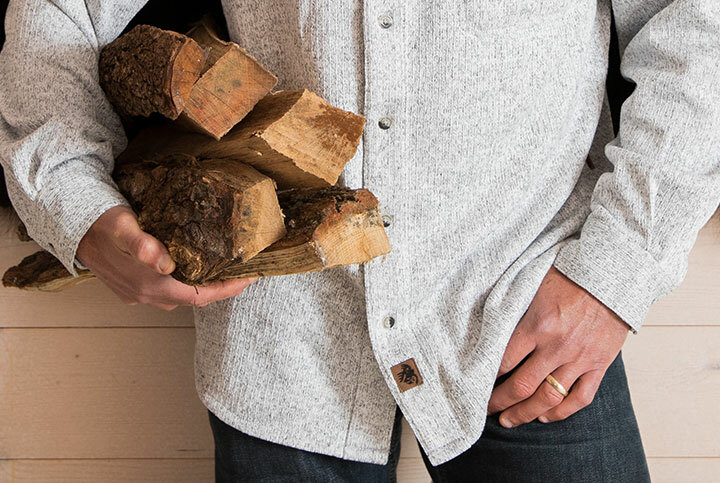 We're dedicated to creating everyday apparel that's built as much for the backwoods as the backyard. Every detail. Every day. No exceptions. When you're not in the woods, wear this! 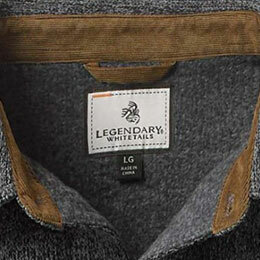 Legendary® engraved buttons accent the placket and cuffs. 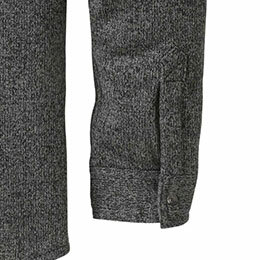 Same accent found on the left-chest pocket flap that's formed by the yoke. 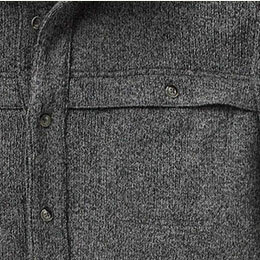 100% polyester sweater fleece is soft, thick, and warm. Faux leather Signature Buck patch. Rated 5 out of 5 by Joseph from Awesome shirt Awesome shirt! Comfortable, warm and stylish. I bought both colors that were offered. Rated 5 out of 5 by Joel from WI from Warm, soft, great looking shirt! This is a fantastic shirt! It looks great and is very soft and warm. The build is what you would expect from Legendary Whitetails. 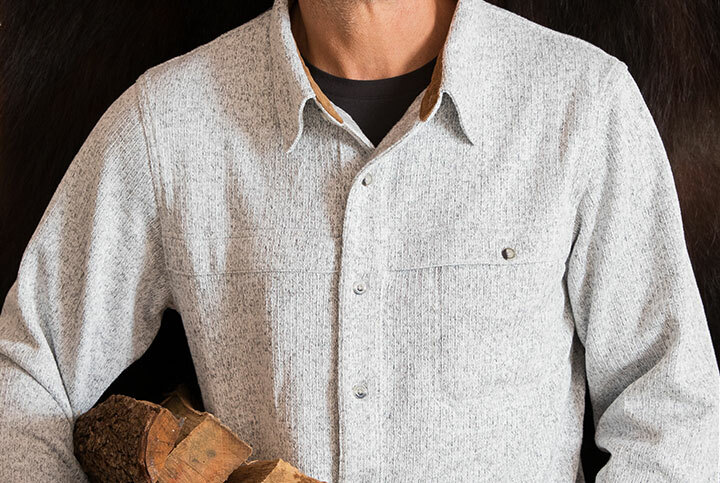 It almost feels too nice to use as a "work shirt," but, this shirt is bullet-proof and can handle anything you throw at it. This shirt runs true to size. 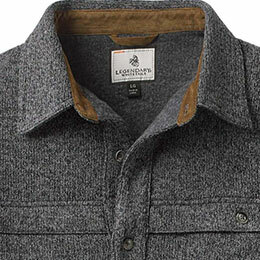 I am a large in other shirts from Legendary Whitetails and this runs. the same. I am 6' 2", 225 lbs, athletic build, broad shoulders and long arms. Size Large fits me perfectly. I only wear a t-shirt under this shirt. Anything thicker (even a thermal long-sleeve) may be too tight. Rated 5 out of 5 by Wisconsin from Soft, warm material It was a little more thin than I assumed, but the material was very soft and still warm. Very nicely made. Happy with this purchase overall! Will you be restocking the Large light gray in the near future? Will this be available in a large any time soon? Is this available in 2XL size? If so, I would have purchased it this evening with the other items I&rsquo;m purchasing. I'm sorry to say this item has been sold out of size 2XL for the 2017 Fall/Winter season and will not be restocked.